Home / 1983 / Current Events / iPad / iTunes / Kajagoogoo / Limahl / MTV / SiriusXM / The Never Ending Story / VH1 / Limahl Takes Us Back to 1983! Limahl Takes Us Back to 1983! Kajagoogoo frontman Limahl releases new single titled "1983"
29 years ago in early 1983, the British pop band Kajagoogoo rose to the top of the music charts. With heavy airplay on radio and MTV, their single "Too Shy" would reach #1 in the UK and #5 in the US. But surprisingly just a few months later, the band would split ways with lead singer Christopher Hamill aka Limahl. He would launch a solo career and would immediately achieve two hit singles in 1984. The biggest of those was the international hit "The Never Ending Story" from the popular film, which would reach the top ten in 12 different countries. Limahl would go on to release two more solo albums before reuniting with Kajagoogoo in 2003 for VH1's reality show Bands Reunited. 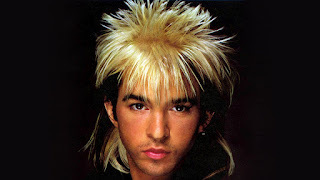 Now in 2012, Limahl has returned to the airwaves with a new single that pays tribute to the year that he rose to fame! The song is about the fabulous 80's with MTV, synthesizers, vinyl, and cassette. (Limahl's) "namedropping" several UK acts that influenced him in the song, groups like Duran Duran, Visage, and Human League. The release was exactly 29 years after the release of the UK no. 1/US no. 5 hit “Too Shy” by Kajagoogoo. The track has received massive attention and media/press from all over the world have been contacting us about Limahl. 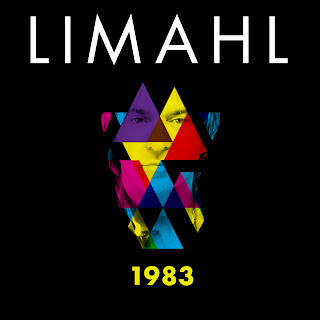 We released a new free "Limahl 1983" app for iPhone and Ipad last week following the release of the single. The "Limahl 1983" app is listed as one of 21 cool new apps to try out in this article from the UK website The Guardian. "1983" is now available for digital download on Amazon, iTunes, and 7Digital. Also, check out the free app for iPhone and iPad which features the story behind "1983", song lyrics, and a new updated Limahl bio. This is great post. I loved listening to the interview, and the new song. Limahl really celebrates that great era of '80s music, and even defends it against its detractors. I agree with him: the '80s were a great era that deserves to be remembered fondly... and 1983 was a great year in music. I did my own post on this subject, and referenced this blog. Again great post! Thank you! Appreciate the kind words!